Is moving overseas the best thing you'll ever do, or a big mistake? Find out… FREE! Sign up for our newsletter, with fresh, realistic, usable answers and stories about living abroad, provided by 600+ independent experts, without the spin. Read real life stories about how others did it successfully. Perfect if you want to be kept up to date with the most current trends and insights. Download our free research study so you will know what it’s REALLY like to live in Mexico. 1,129 expats surveyed, from all major expat locations. Find out why they moved, what they found, and if they would do it all over again. Discover what surprised them most, and, if you’re considering moving, what you need to know. 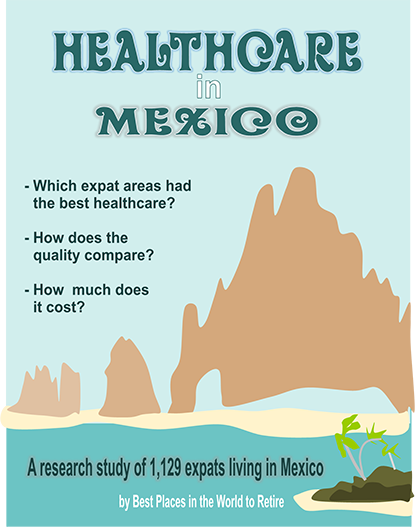 Download our free research study so you will know all about healthcare for expats in Mexico. How is the quality of healthcare in Mexico? How is it different than in the US or Canada? 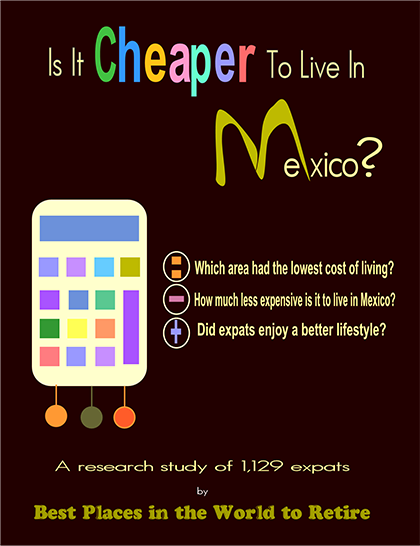 Download our free research study so you will know if it's really cheaper to live in Mexico. How much did they reduce their cost of living? What did they do with the extra cash? Which expat areas in Mexico have the lowest cost of living? 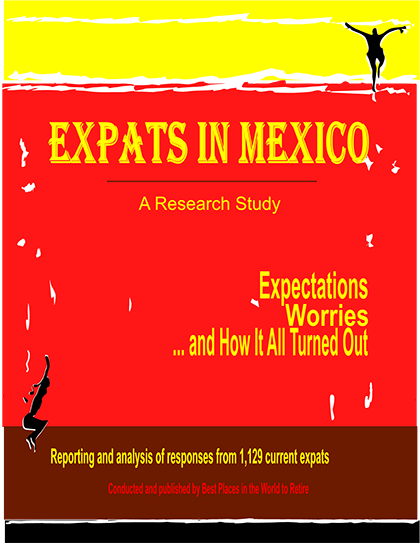 Click here to download your free research study Is It Cheaper To Live In Mexico? 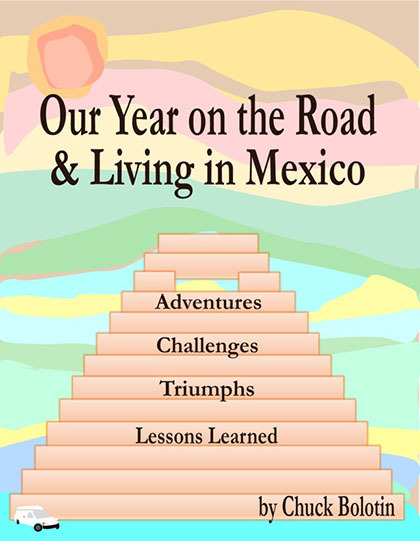 Download our free eBook describing the year-long Mexico road trip of a typical, newbie couple and their two dogs. Entertaining, useful information for anyone considering traveling in or moving to Mexico. All the most well known expat locations are described, complete with firsthand, inside information. What you need to know and what you need to look out for, all in one, easy to read and fun-filled adventure. Download our free research study, so you will know what it's REALLY like to live in Belize, Nicaragua and Panama. 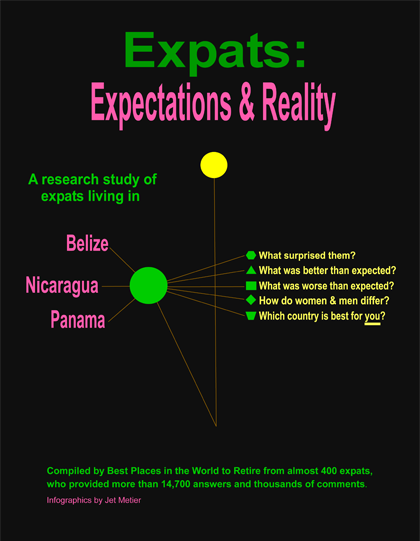 Get your own copy of the definitive study of expats living in Belize, Nicaragua and Panama. 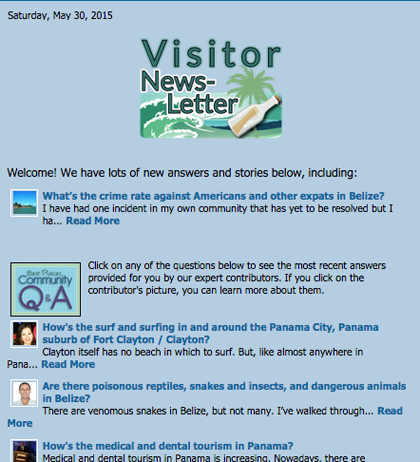 Read unbiased opinions of those already living in Belize, Nicaragua and Panama. Understand the good and the bad, to come to your own conclusions on what's right for you. Download our free research study, so you will know how much it REALLY costs to live in Belize, Nicaragua and Panama. Find out how much less it costs to live in Belize, Nicaragua and Panama. Discover what expats do with the money they could save with a lower cost of living. Did the lower cost of living result in a better lifestyle overall? Find out. 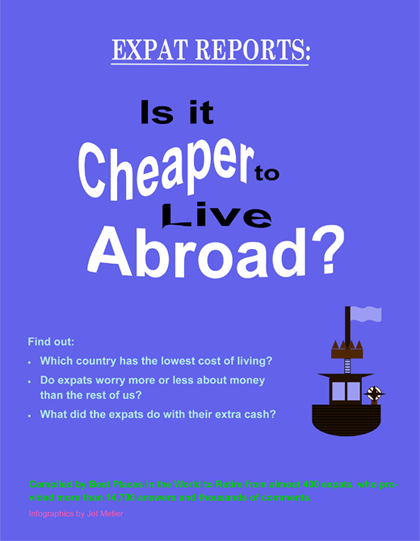 Click here to download your free research study Expat Reports: Is It Cheaper To Live Abroad? Download our free research study, so you will REALLY know about healthcare in Belize, Nicaragua and Panama. Find out about quality, access and cost. Discover why lots of expats don't have insurance. 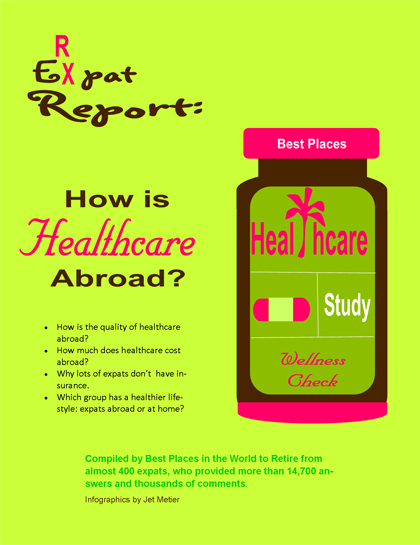 Read about group has a healthier lifestyle: expats abroad or at home? Download our free eBook about Panama, a "must have" if you're considering moving to Panama. "No spin" answers to your questions, provided by over 100 experts. 6 real life stories of people who've done what you're considering. What worked? What didn't? Find out. 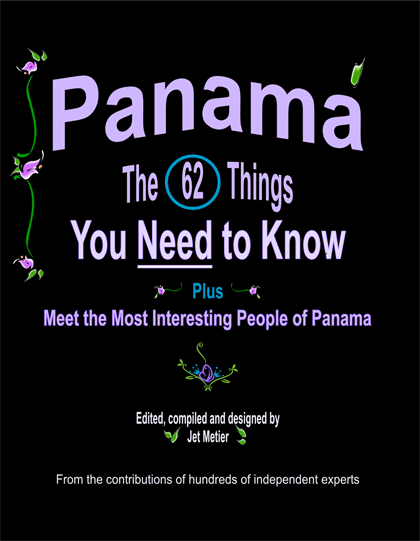 8 interviews by Jet Metier of the most interesting expats in Panama. Enjoy these charming, insightful sometimes a bit quirky stories. Everything is presented with you in mind, in an entertaining format you can use right now.